The starting lists for the 2016 Jamaica International Invitational at the National Stadium in Kingston, on Saturday evening. Watch live streaming online. Sporting Alert – Sprinter Asafa Powell will start as the favourite to win the men’s 200m at the Jamaica International Invitational in Kingston on Saturday, following the withdrawal of Canada’s Andre De Grasse. Usain Bolt has been drawn in the first semi-finals of the men’s 100m along with American wonderkid Trayvon Bromell at the IAAF World Championships in Beijing. BEIJING, China, Sporting Alert – Justin Gatlin and Usain Bolt both eased through the early rounds of the men’s 100m at the IAAF World Championships in Beijing on Saturday. 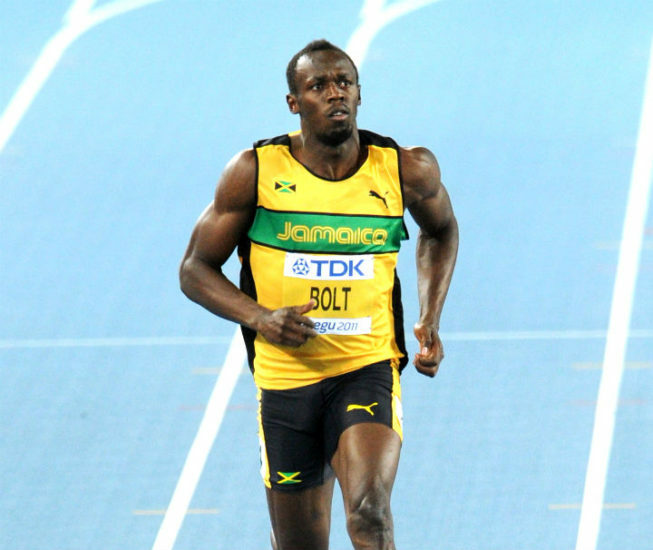 TORONTO, Sporting Alert – Sebastian Coe says track and field needs Usain Bolt to beat Justin Gatlin at World Championships. 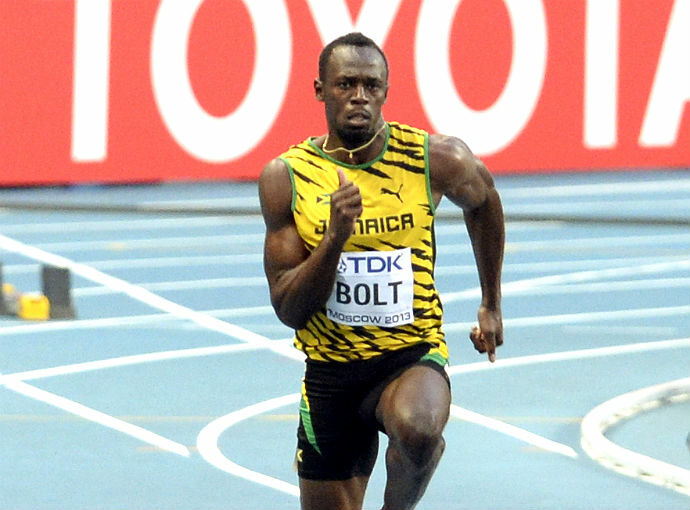 Bolt ran 9.87 secs on Friday in London. Sprinter Tori Bowie stamped her class against a very strong women’s 100m field on her way to running a world-leading 10.80 seconds at the Monaco Diamond League meeting on Friday. 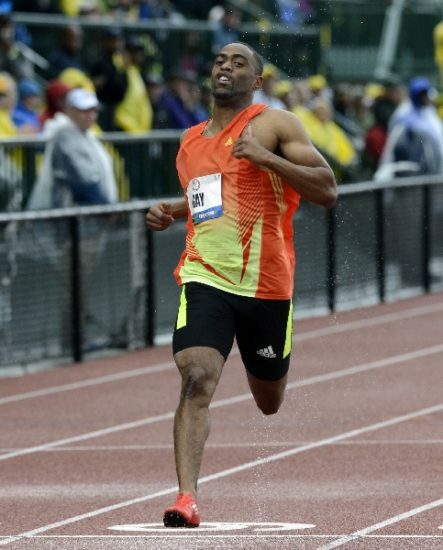 LAUSANNE (SportingAlert) — American sprinter Justin Gatlin beat Tyson Gay in their 100m clash at the IAAF Diamond League meeting in Lausanne on Thursday. 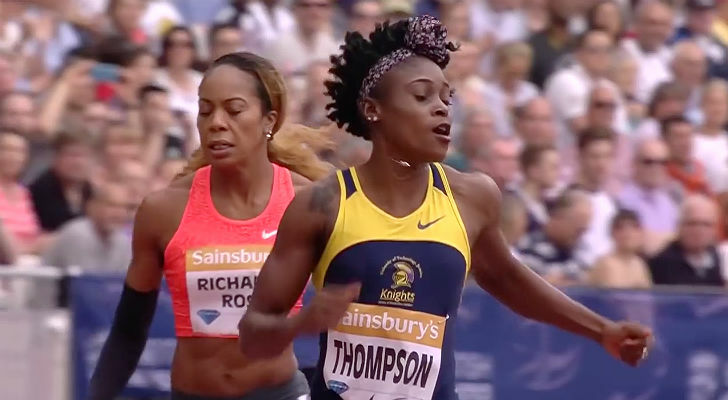 Universal Sports Network will air exclusive national television coverage of the IAAF Diamond League from Lausanne, Switzerland on Thursday, July 3, at 2 p.m. ET LIVE, and Paris, France on Saturday, July 5, at 2 p.m. ET LIVE. Shelly-Ann Fraser-Pryce and Carmelita Jeter has had enough and walked out of a news conference for the IAAF Diamond League in Monaco on Thursday in protest.